Published: Nov. 22, 2015 at 01:53 p.m.
Cowboys linebacker Rolando McClain intercepts a pass from Dolphins quarterback Ryan Tannehill and takes it into the endzone. Published: Oct. 12, 2014 at 07:37 p.m.
Dallas Cowboys linebacker Rolando McClain intercepts Seattle Seahawks quarterback Russell Wilson. 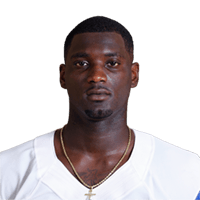 Published: Sept. 14, 2014 at 03:37 p.m.
Dallas Cowboys linebacker Rolando McClain intercepts Tennessee Titans quarterback Jake Locker.